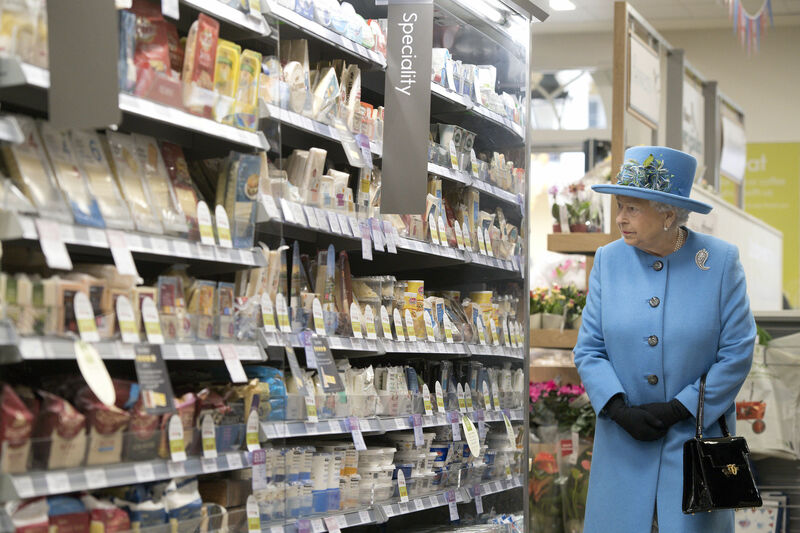 On arrival in Poundbury Her Majesty and Their Royal Highnesses toured Queen Mother Square, before The Queen visited the local supermarket to view some of the local West Country produce stocked in store. The Prince of Wales then introduced Her Majesty and Their Royal Highnesses to architects involved in Poundbury's design, before giving a brief explanation of the development. Her Majesty and Their Royal Highnesses then proceeded to the Duchess of Cornwall Inn where they met representatives from the brewery company and construction team. The Queen then unveiled a statue of Queen Elizabeth The Queen Mother.